A middle school student was killed after a school bus collided with Union Pacific train in Athens. Another student and the driver were injured. A crash report from Athens police says the driver of an Athens ISD bus did stop at a railroad crossing, as required by state law, before the bus was hit by a train. 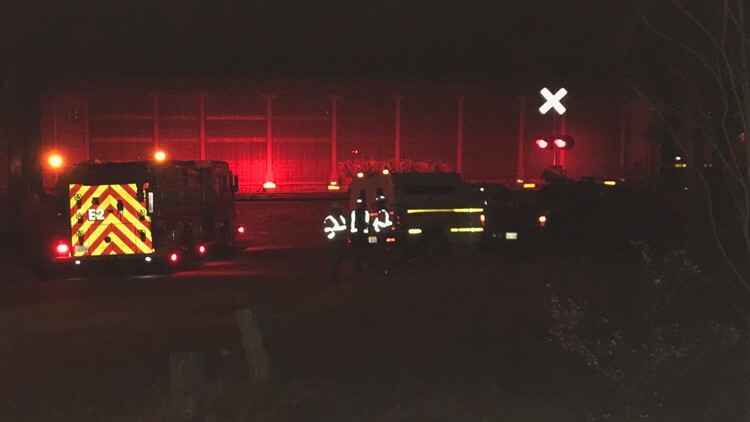 ATHENS, Texas — Then Athens Police Department has released the crash report from a January fatal crash involving an Athens Independent School District bus and a Union Pacific freight train. According to the report, on Friday, January 25, around 4:30 p.m. an Athens ISD school bus has stopped before crossing the railroad tracks at Cream Level Road, as required by state law. After moving forward, the train hit the left side of the bus. The locomotive pushed the bus toward the next crossing. The bus hit signs and a railroad gate before the train and bus came to a rest near the North Murchison Street crossing. There were three people on the bus at the time of the crash, including the driver, a middle school student and an elementary school student. The driver, John Stevens, 78, was taken to a local hospital, treated for his injuries and released the same day. Christopher Bonilla, 13, was ejected from the bus and pronounced dead at the scene. Joselyn Torres, 9, was flown to a Dallas hospital in critical condition. Torres was released from the medical center the week of Bonilla's funeral, which took place on Friday, February 1.